ENTRY CRITERIA EXPANDED FOR TALENT POOL 2018! ANOTHER INVESTMENT COMES TO FRUITION BY SOUTHDOWN! Following many months of development we’re pleased to announce the launch of our bespoke on-line booking system. The system goes live from 14th May 2018 and can be accessed via our website. Another investment project comes to fruition at Southdown! The system is designed to show you what’s available and allow you to select your preferred time. For competitions you can select your squad start time and peg. Once chosen, the space will be reserved for approximately 30 minutes. In this time you’ll have to complete the online payment via PayPal, otherwise your reservation will expire. You also have the option to reserve several spaces for your friends. For each you’ll need to input their name and if you wish them to pay direct their email address. They will then receive an email with a link to confirm their spot and pay online. These reservations are held for approximately 1 hour. Bookings are handled on a first-come-first served basis. We will not be held liable for any loss of reserved positions if they’re allow to expire. Don’t like booking on-line, no problem!! If you don’t have a PayPal account or prefer to speak to someone, you can still call the office Wednesday to Sunday on 01903-877555 and we’ll get you booked in and take payment of deposits or entry fees over the phone. As is currently the case your payment card details are entered direct to our card machine so no sensitive information is held by the office. For your peace of mind the system is secure and meets all current data protection rules and regulations. By opting for PayPal payment only this further secures your card details which are not seen or held by our system. 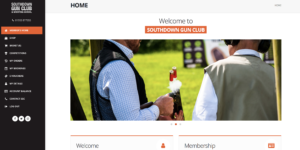 As part of the booking process you’ll be asked to confirm whether you wish to receive marketing information from Southdown or not. We’re planning to expand the system to include booking for Vario Hearing Protection Fittings; items from the shop etc., so keep an eye out for further update on our website/Facebook page.